Deciding which smartphone to settle for between those three can be a little bit tricky considering they all features great spec sheet. Whether in battery department or in display section, both the K4000 pro, M5 mini and boom J8 all had their say but nonetheless, like always, we’re hear to help you decide the best one to go for. We will be putting these three smartphones into comparison to know which is best option as to what it has to offer with the price tag it came with. We informed earlier that we will be bringing you a bumper series of phone comparison via our social media platform, so if you’re not yet following us, do that HERE in order to stay informed and also get a chance to win big in our upcoming contests and free giveaways. Without wasting anymore time, lets dive in straight into the comparison to see what these android smartphones holds in store for us, first off, lets glance through their key specs. 1.3GHz quad-core Cortex-A53 CPU processor (MediaTek). 32 GB in-built storage, expandable to up to 128GB with a microSD card. 16 GB in-built storage, expandable to up to 128GB with a microSD card. 1.0GHz quad-core Cortex-A53 CPU processor (MediaTek). 16 GB in-built storage, expandable to up to 64GB with a microSD card. The K4000 pro, boom j8 and M5 mini have somethings in common in some areas like the screen resolutions where they all sports a 720 by 1280 pixels of screen resolution, You also notice that all the three devices supports 4G network. Apart from running on Android 5.1 lollipop, the three devices also uses a 5MP front shutter, those are the major similarities, lets now see who performs better in other sections. The marathon m5 mini crams a 5.0 inches IPS LCD capacitive touchscreen which has a resolution of 720 pixels by 1280 pixels at a PPI of 293 pixels per inch. The Gionee M5 mini has a brilliant and very fitting body design that has a thickness of 8.5 mm, it is being covered by a plastic material. The front of the m5 mini is as well being protected by an Asahi Dragontrail Glass, It measures 143.00 x 69.90 x 8.50 (height x width x thickness) and weighs 182.00 grams. The tecno boom J8 might have the best to offer in the display department, it boasts a size-able 5.5 inches display with the resolution of 720 by 1280 with 267 Pixels per square inch (PPI) creating a more viewing range for its users. Although the Tecno Boom J8 still sports a plastic body, the design is more appealing to the eye. It has a well rimmed with a metallic frame, the look is more high-end this time having a its loud speaker openings below at the bottom. The dimensions are 153.3 by 76.8 by 7.4 mm making the boom j8 the slimmest of the three and also the best in design. The Oukitel K4000 pro is certainly not the best design-wise but really had something to offer with its design, it has a well finished metal border with arc design at the edges which is said to give it more protections from drops and heavy falls. It has a plastic back cover with some patterned finish. the dimensions are 145.6 by 72 by 12.5 mm. The screen of the K4000 pro is also worth mentioning, having a 5.0 inch display with the resolution of 720 by 1280 pixels and a PPI of 294, The thickness of the screen is 1.1 mm which is higher than the normal 0.7 mm found in most touch screen phones, the glass also has a protection of 9H hardness, highly resistant to scratches, pressure, shocks and drops. 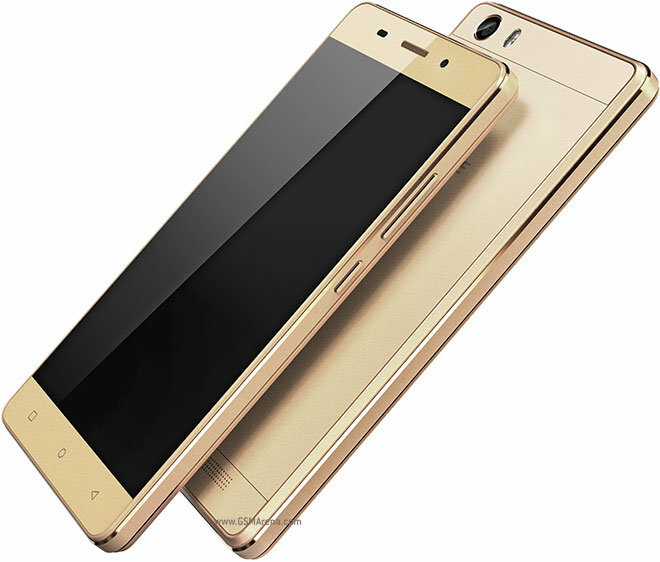 The Gionee M5 Mini comes running the 5.1 lollipop version of the Android OS with the Amigo 3.1 UI running on top, Its Quad-core Cortex-A53 CPU clocks at the speed of 1.3 GHz and uses a Mediatek MT6735 chipset. The M5 Mini is equipped with a powerful 3GB RAM which is complimented with a 32GB of internal storage space, this feature also makes a great choice for heavy users. The 32GB storage space can still be further extended to 128GB with a microSD card if more space is needed by the user. The Tecno boom J8 is the first of its kind to host the Hi UI which makes it even more interesting, it comes running the android 5.1 lollipop out of the box. The Hi user interface is said to come with some really intriguing features but won’t so much different from what we have seen in other lollipop phones, that not withstanding, the boom j8 uses a Mediatek MT6753 chipset with its octa-core Cortex-A53 CPU running at 1.3 GHz, there is a 16GB of internal storage which the users are allowed to expand to up to 128GB with a microSD card. There’s also a 2GB RAM to handle the multitasking seamlessly. 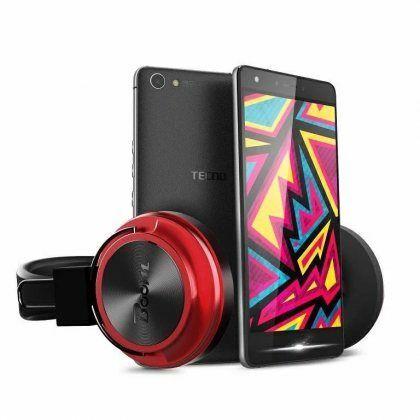 The boom J8 also comes with boom 2.1 pre-installed for the music lover. The K4000 pro is powered by MediaTek MTK6735 chipset with a quad-core processor running at 1.0 GHz, The SoC on the K4000 Pro is supported by 2 GB of RAM. The native storage available on the K4000 Pro is 16GB and it can be further expanded to up to 64 GB of microSD card if the user requires more storage space. I believe its clear the M5 Mini is best when it comes to RAM and inbuilt storage, nonetheless, it is the android 5.1 lollipop that is present in the Oukitel K4000 pro, there’s a scheduled upgrade to android 6.0 marshmallow for the K4000 pro which the users can get via OTA. The Gionee m5 mini posses an 8MP rear shutter that features autofocus, LED flash, Geo-tagging, touch focus, face/smile detection, panorama, HDR, Videos can be recorded at 1080p@30 fps. It also carries a 5MP front facing camera which is a great choice for selfie lovers. In the connectivity section, the dual sim based M5 mini avails its users with 4G network connection which is missing in the Zero 3, it also supports Wi-Fi connections, GPS, Bluetooth, 2G and 3G as well. Having a 13 mega pixel rear shutter and a 5 mega pixel front shutter with LED flash, I think the boom J8 also has a to offer in this section, the back camera can capture upto 4128 x 3096-pixel pictures and also features HDR, autofocus, Geo-tagging, panorama camera with LED flash. The front camera at the other hand can also capture up 2592 x 1944-pixel pictures, its soft flash makes sure get bright selfies even in dark conditions. There is a 4G connectivity option in the dual SIM smartphone which is also available in the K4000 pro and the M5 mini, it also supports Wi-Fi connections, GPS, Bluetooth, 2G and 3G as well. The Oukitel K4000 pro is not left out in the camera section, it features an 8MP back camera with 13 MP interpolated, you can capture upto 4160 x 3120 pixel pictures with the phones camera, slightly higher than what is available in the Boom J8, the camera also features auto focus, HDR, Geo-tagging, Panorama. The front facing camera has 2 Megapixel with 5 Megapixel interpolated, it can capture up to 2880 x 1728 pixel pictures. 4G connectivity option is also available in the dual SIM K4000 pro, however, 3G, 2G and Wi-Fi options are also supported as well as the bluetooth and GPS. Being a mini version of the Gionee M5 that has an incredible 6,020 mAh of battery capacity, No surprise the Gionee M5 Mini (lite) carries a non-removable 4,000 mAh Li-Po battery. The battery can last you upto 98 hours on complete standby. The tecno bom J8 is certainly not the best in the battery department, it houses a 3000 mAh of battery juice which is not generally bad but not upto par when compared to what the other two devices holds. On total standby, the battery is said to last about 75 hours. As far as battery is concerned, the Oukitel K4000 pro definitely offers the most, it carries a large 4,600 mAh removable battery which can last up 5 days on standby when fully charged, the k4000 pro also has some super power saving modes to make sure you get enough out every single charge. After going through the above, you’ll find out that picking the best is not that easy but a little easier now if you know what you’re really aiming for. The tecno boom j8 is very fashionable and the definitely the best choice for entertainment lovers, thanks to its wider display and the boom features but if you’re looking for a strong, durable and affordable smartphone to handle all the rough usage and nasty falls, You shouldn’t think twice about getting a K4000 Pro for your self, At the other hand, the Gionee M5 mini is the best choice for gamers and heavy users that always like to leave every app running at the same time. Nonetheless, the three devices are really cool and worth checking but the choice is still all yours to decide the one that best suits your needs for a smartphone, leave a comment below, the one you prefer and please share. 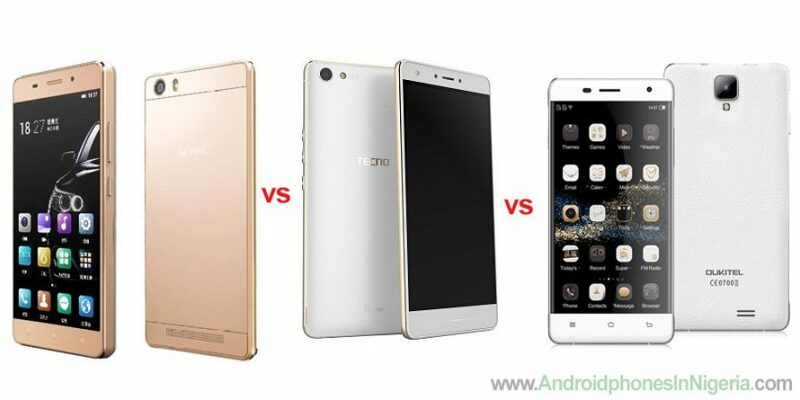 Your comment …tecno has it….. 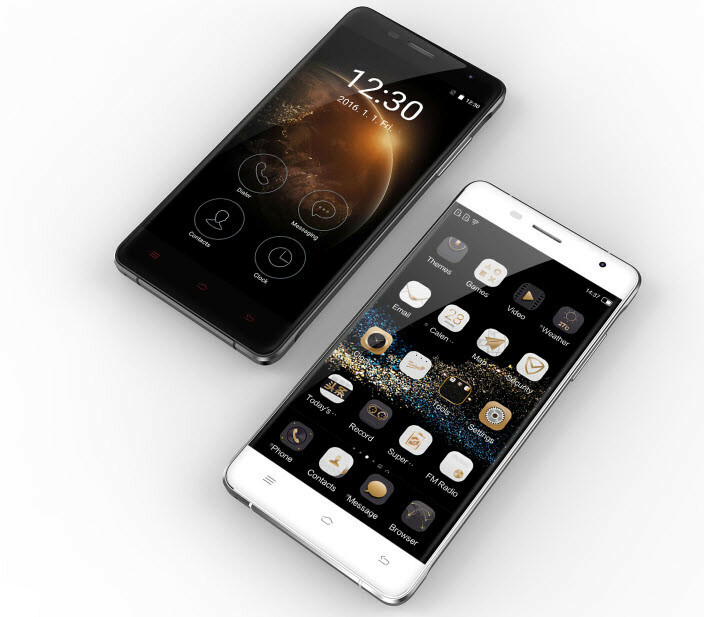 However, Gionee still have something great to offer. Okay, Okitel seems to win the day especially in terms of affordability. But me, I like phones with wider screens hence Tecno wins the day. Besides, Tecno is a more known brand and also, the new UI is something catchy also. Tecno it is for me. That’s true Kemi, the new UI in J8 is great, but if you consider affordability, OUKITEL is Worth checking out for.